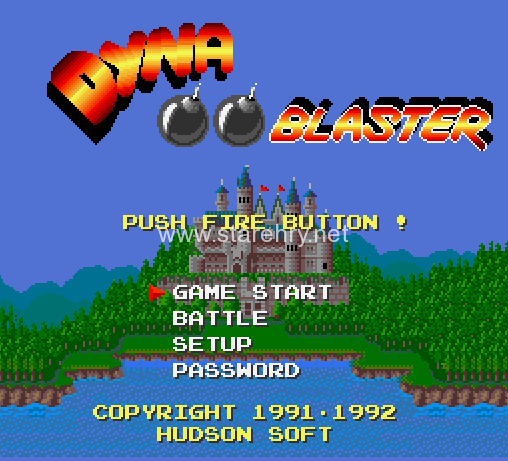 Dyna Blaster is my favorite old game. 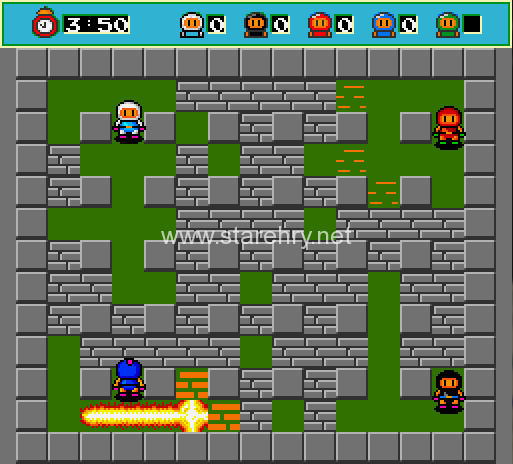 Dyna is since 1992. Your enemy kidnapped your wife and you must save her. 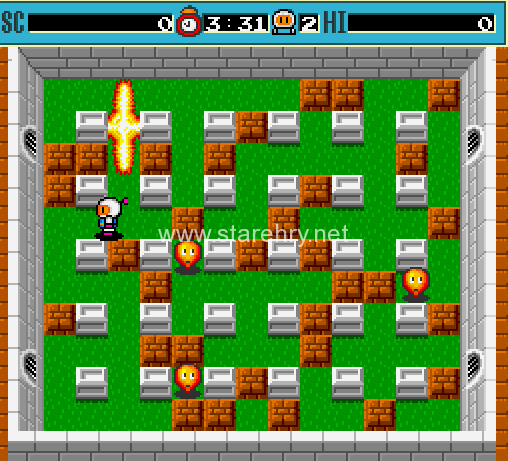 The game support multiplayer on one computer. The game you start with file: DYNA.EXE. 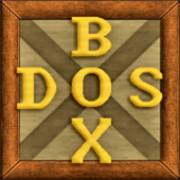 Drag a file to dosbox and game will start. Have a fun.